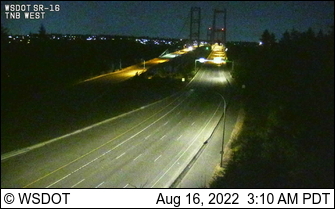 This is a trip across the Narrows Bridge on the traffic separated bike path. The name of this bridge is The New Narrows Bridge. 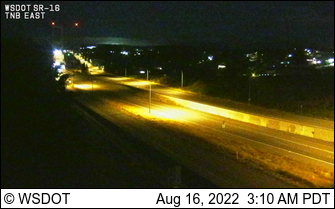 The official geographic name of the body of water crossed by the bridge is The Narrows, not The Tacoma Narrows. The enclosed photos were taken on July 15, 2007, the day of the ribbon cutting ceremony for the new bridge. The woman with the dark hair in the center of one photo is Paula Hammond, at the time WSDOT Chief of Staff. Later she became the Washington State Secretary of Transportation.